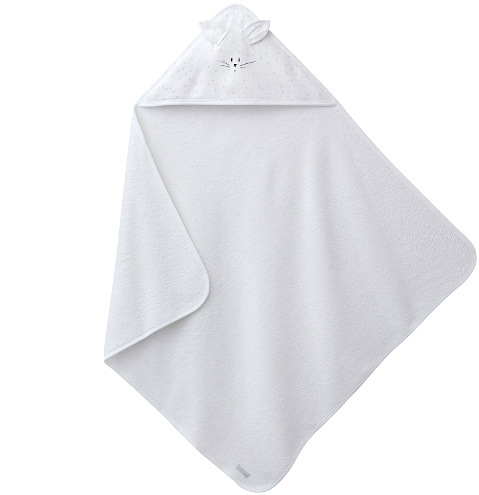 This Petit Bateau Hooded bath towel with rabbit ears is made from Terry cotton and features a keep-warm hood for infant and a sweet little one-button on the neckline. With braided cotton trims, this Hooded Bath Towel will feel luxurious against your little baby’s skin after a bath. Super-easy to clean as it’s machine washable and made from 100% Cotton. Give your infant the joy of soft comfort with this Hooded Bath Towel.